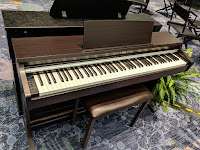 UPDATED REVIEW - November 1, 2018 - Kawai KDP110 digital piano 2018 model - Recommended - The Kawai piano company has been producing high quality acoustic & digital pianos for many decades and is well known throughout the world by professionals, teachers, and musicians as a leader in digital piano technology. So it should come as no surprise that Kawai has really "upped its game" with their 2018 KDP110 home digital piano at just $1199US internet discount price which now takes the place of the previous KDP90. 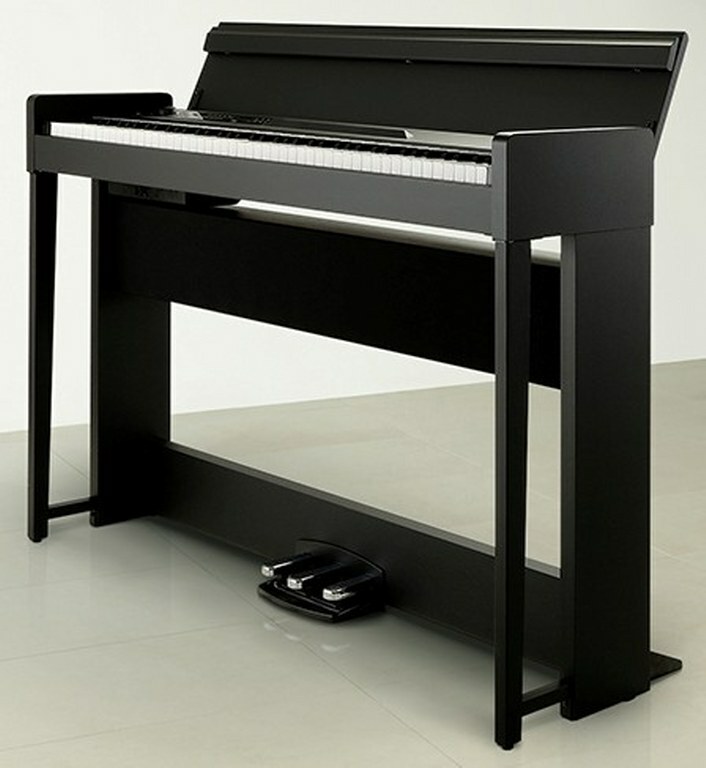 What makes this piano really stand out among the crowd of popular competitors is the fact that it is Kawai's only traditional furniture cabinet digital under $1800 whereas the other top digital piano manufacturers such as Yamaha, Roland, Korg, and Casio have a number of furniture cabinet models selling for under $1800 all the way down to $700. So if you are only going to offer one model that gets near the $1000US price range then it better be good...right? 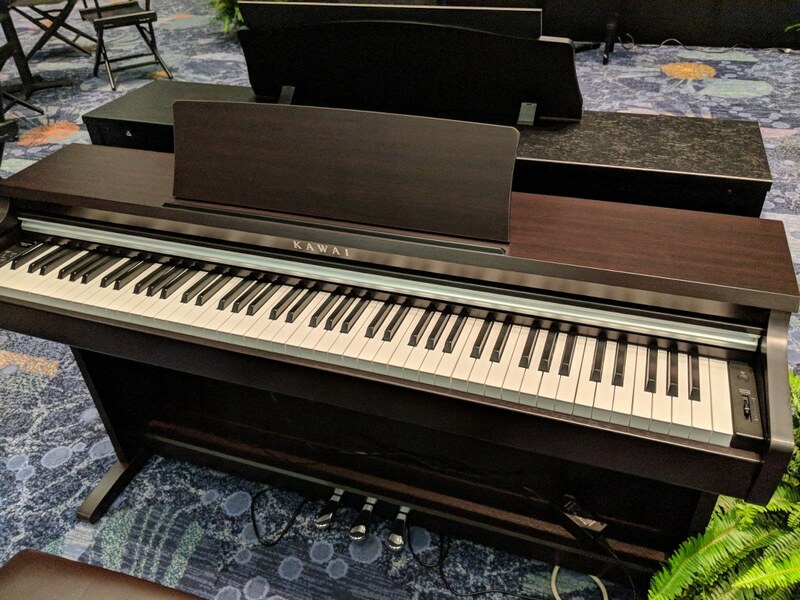 Well, as far as I am concerned after having played this new model many times, Kawai has really moved forward in its quest to have a great low priced home digital piano that is very competitive in its price range. 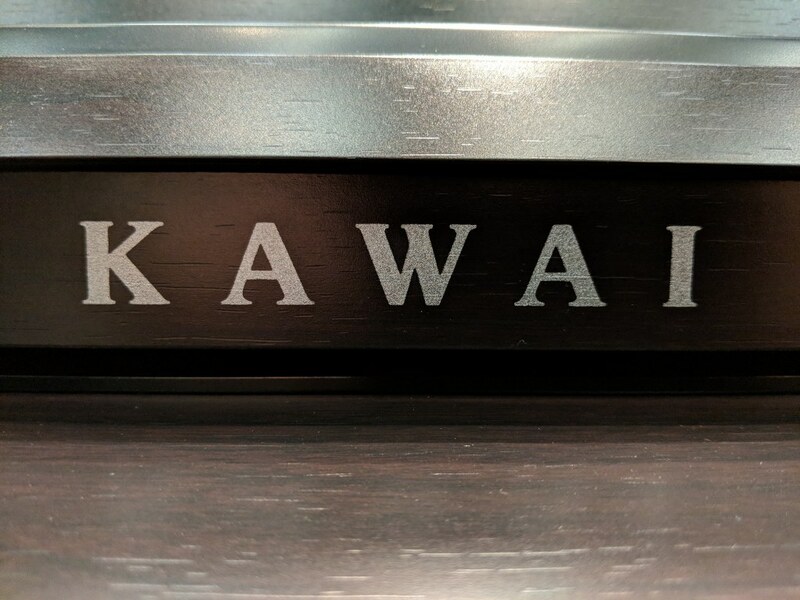 *If after reading this review you are interested in purchasing a Kawai KDP110 then please contact me to find out how to get a special lower price while they last. The primary things shoppers are looking for when wanting to purchase a new digital piano is realistic, responsive piano weighted key action, expressive, organic acoustic piano tone with a smooth,wide dynamic tonal range, and last but not least...responsive pedaling with long, bold piano sustain decay times. 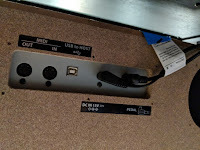 Also, to enhance these things it is necessary to send all that great sound through a competent internal speaker system which can bring out a good bass response so the sound is not tinny, but big and bold with a rich sound coming through. 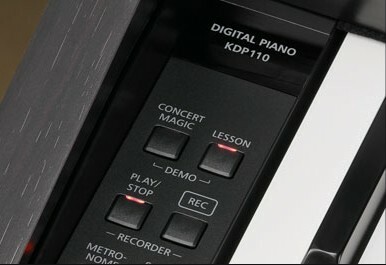 All of the other things a digital piano can do such as offering other instrument sounds, drum patterns, recording, layering, USB connectivity, etc are secondary although they can be useful and fun to have and the KDP110 definitely has many other useful functions and features to offer. 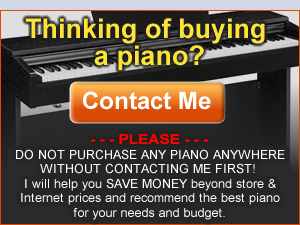 First, it is important to talk about key action which is by far the most important thing you should be concerned about when shopping for a digital piano. Key action includes how the keys move individually or together, the weight of each key, the amount of pressure it takes for the fingers to press the keys down, the amount of time and pressure the keys exhibit in coming back up, the way the keys interact with the piano sound and if the key action under each key has proper electronics under the keys (called key sensors) to allow the piano to have smooth transition in volume when playing lightly or quietly and then when playing harder with more expression and how the piano sound volume and tonal dynamics come out as you are playing. Also many key actions exhibit a lot of noise (much more than normal) when the keys are being played, both when the keys go down and when they come back up, and many off-brands of digital pianos behave badly in this way and produce loud and distracting key movement noise along with terrible volume and tonal response. Unfortunately that is something you cannot see...inside the key action where it all happens. Also, if you do not play piano at all or do not play fairly well, you are likely not going to know what is good and what is bad when it comes to the all important key action and the way it is supposed to work. 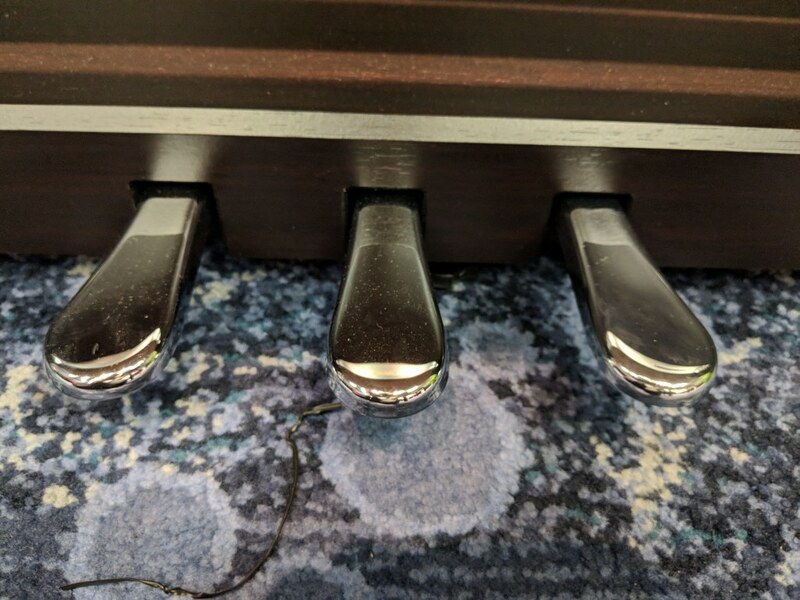 If you get a digital piano with a poor quality key action it will absolutely stunt the growth of any piano student no matter what their age and that is something you want to avoid at all costs. In its price range the Kawai KDP110 key action called RHC2 is very good and excels in many ways for a digital piano in this price range and I was impressed. It has just the right balance of graded weighted keys with key movement from low to high octaves being not too firm and not too light...just right, kind of like the Goldilocks story:)...and overall a quieter moving key action as compared to the competition including Yamaha, Casio, and Roland in this price range. Only Korg has a more realistic and quieter key action but their competitive model called the C1 Air is $1399US internet price so it's $200 more. 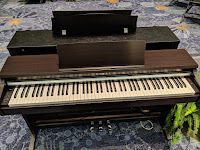 Also the weight and movement of both the black and white keys on the Kawai KDP110 were good which is not necessarily the case with other manufacturers, especially when it comes to the black keys and how they move. 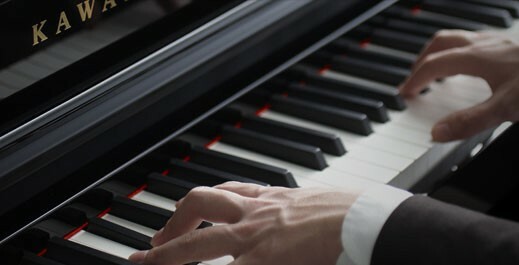 Beyond the physical nature of the piano key action are the electronic key sensors under each key. In the past Kawai had a 2-sensor key action which has 2 electronic sensors under each key to sense key repetition. This is fine for beginners through intermediate players but if you are a bit more advanced in your piano playing skills then having 3 key sensors under each key can help with key repetition response when playing faster and more quickly on the keys, especially when the keys are being pressed down before they come all the way back up again. There are only two things this key action does not have that a couple other brands do such as Casio & Roland and that is synthetic ivory & ebony keytops and/or the escapement feature. Synthetic ivory and ebony is being used to try to replicate the key feel (the tops of the keys) that old acoustic pianos used to have decades ago. The escapement feature is a hesitation or "notch" that you would feel as you press the key down very slowly on a grand piano. However the escapement feature on a digital piano is at best a very limited imitation of the real thing and in reality does not actually simulate it. The KDP110 does not have the synthetic ivory & ebony but neither do real acoustic pianos these days. The KDP110 keytops simulate what real new acoustic upright & grand piano keys feel like that are being made today. Since Kawai builds and is famous for their acoustic upright and grand pianos then they know what they're doing in producing high quality piano keys. So as far as I am concerned Kawai has done a great job with offering a very satisfying piano key action in their new KDP110, especially in this price range. The next most important thing when shopping for a good digital piano is to pay attention to the piano sound authenticity. For people who do not play piano or have little experience with the actual piano sound of good acoustic pianos then knowing what constitutes a good piano sound can be a daunting task. How do you know if one piano sound is more realistic than other and does it really matter? The answer is that it doesn't matter so much in the beginning if you don't know how to play piano yet. But as you grow in your piano playing skills then having a more authentic and expressive piano sound in your digital piano will matter quite a bit because unless your piano is capable of reproducing a large amount of smooth tonal expression and volume, you will not be able to properly reproduce the music your are trying to play and your piano can and will stunt your "musical growth." So just because the instrument looks like a piano does not mean the piano sound and expression will be any good, particularly in the off-name, lower quality brands like Artesia, Kurzweil, Suzuki, Williams, etc. In fact in some of these cheaper brands the tonal dynamics and volume when playing the key action is so choppy and compressed that it will hurt any piano student trying to improve in their piano playing skills and abilities. So you need to be very careful in what you finally decide to buy. 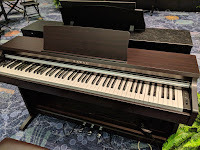 With all this in mind I can tell you from 1st hand experience that the Kawai KDP110 has impressive acoustic piano sound reproductions originating from Kawai acoustic grand pianos. 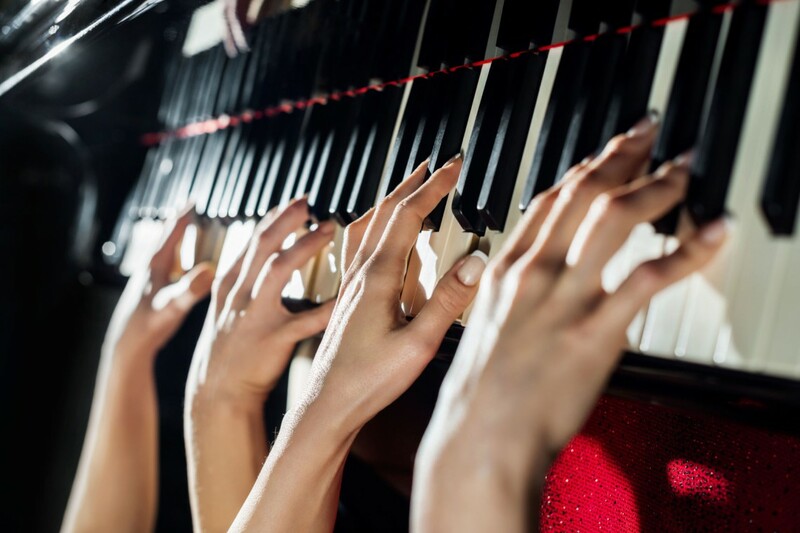 These piano sounds offer good dynamic tonal range (mellow to bright and everywhere in-between) depending on how hard you play on the keys along with smooth volume transitions from very soft to very loud and also everywhere in-between. The piano tones are actual samples/recordings from real Kawai acoustic grand pianos including concert quality, mellow, bright, jazz, pop and and a variety of other choices. 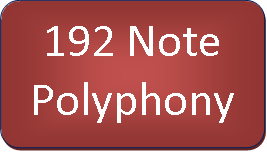 With 192 notes of polyphony power there is plenty of room in the piano memory samples to play complex pieces of music and be able to have a very satisfying result. One of the reasons the piano tones come across so realistically is because Kawai samples all 88-notes individually instead of in groups. In other words some piano companies sample one note and then electronically stretch that note up to the next note and the next note and so on. So basically the notes are "tuned up" to the next note rather than the next note be individually sampled and recorded from the real grand piano. Since Kawai does individual note sampling then the piano sound characteristics on each key are noticeably more realistic when transitioning from one note to the next. When you do the same thing in playing one note to the next on a cheaper quality digital piano like the ones I mentioned above, it's like you are hearing different pianos on each note/key. One key is more mellow then the next key is very bright and then one note may be louder and then next note be softer in volume. This kind of thing really inhibits musical growth, creates bad playing habits, and overall the music just sounds "fake" and not pleasing at all. 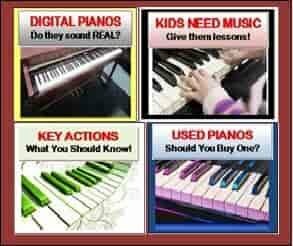 Unfortunately many shoppers don't understand what to look for when it comes to piano along with key action the key actions to express those sounds. 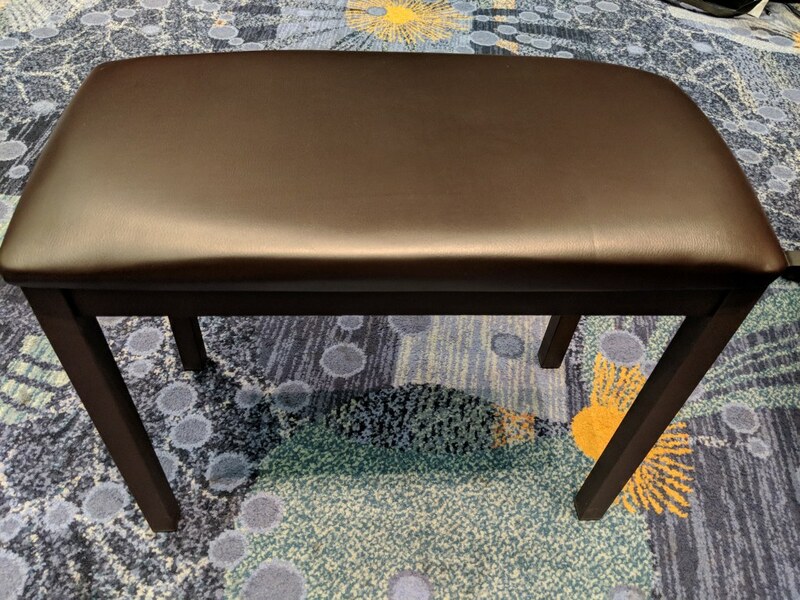 So they buy something because they think they are getting a "good deal" and instead what they wind up with what I call a"PSO" (aka: a piano shaped object). Please...do not get a piano shaped object but spend your hard earned money on something good, something that will be as much like a piano as you can afford to pay, otherwise you will regret it especially if this piano is for a student (you, an adult relative, or child) or you already play piano and you want a new digital piano that will allow you to have good musical growth which in my opinion this KDP110 will do very well within its price range. 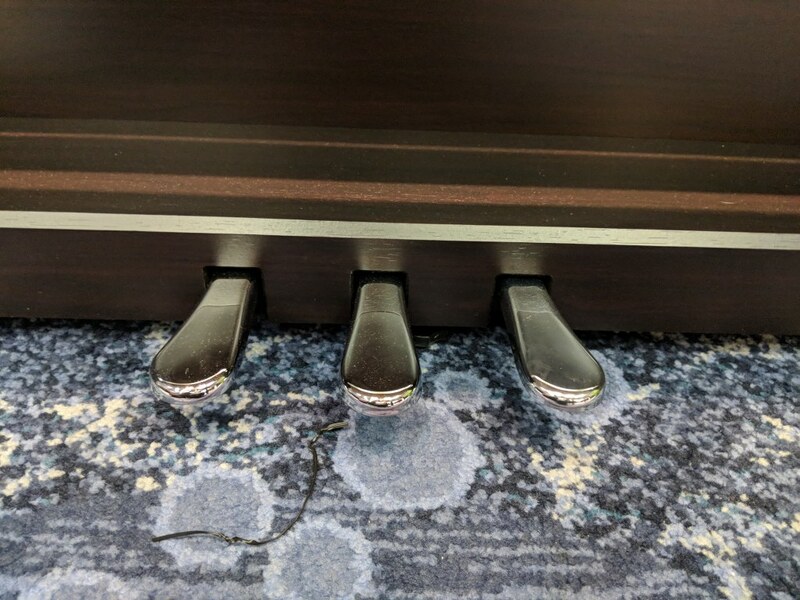 The three pedals attached to the front bottom of the piano are important, especially the right damper/sustain pedal. Without using the right pedal most songs can sound choppy and much less beautiful. However when a beginner student is learning to play then the right pedal is not important until many months have passed by where that beginner student is ready to use the pedal and learn proper pedaling technique. 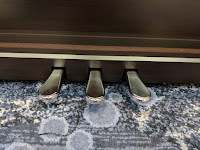 The other two pedals include the center pedal known as sostenuto pedal which sustains only specific notes and the left pedal is known as the soft pedal which softens the volume on all notes simultaneously whenever the song calls for it. 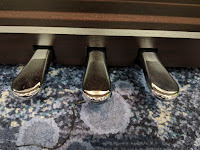 The damper/sustain pedal is the one which is used almost all the time while the left soft pedal is used much less often by beginners to intermediate players, and the middle sostenuto pedal is rarely used by anyone these days as it has almost become a decoration rather than a useful pedal function...although in some classical pieces for some players, it is useful. 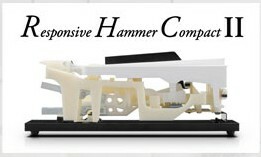 But it's really all about the right damper/sustain pedal and Kawai does a very good job reproducing that pedal experience with a "grand feel" pedal system which tries to simulate the actual feel and weight of the pedal when pressing down on it and which also offers half-damper pedaling. Half-damper is a term that means when you press the pedal down there is a variety of sustain times or amounts of sustain that you get depending on how far down you press the pedal. This function is absolutely necessary for realistic piano sound and without the half-damper feature the piano sound would be more like a keyboard because most keyboards don't have half-damper piano pedaling...the pedal just is on or off with no variation of sustain which makes it more choppy sounding. So when it comes to pedaling Kawai has what anyone would need in this price range to have a very good pedaling experience. When it comes to the non-acoustic piano sounds and functions in the KDP110 there are many and they are all pretty good. There are realistic instrument tones including electric pianos, organs, choirs, harpsichord, strings, etc and you can layer (combine) any two sounds together such as strings and grand piano or harpsichord and choir just to name a few. You can also digitally transpose the key you are in and play the song in any key which can be useful when singing along and getting into your vocal range. The KDP110 also has some useful reverb (echo) effects which accentuate the piano tones by adding to the realism like you would hear in a bigger room or hall where there is natural echo/reverb to give the piano tone a larger effect. This kind of thing is very nice to have and even though other digital pianos may have these reverb effects doesn't mean they are actually any good because there are different qualities. The KDP110 has some noticeably high quality reverb effects that sound more natural than other digital pianos I have played in this price range. 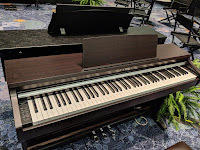 Beyond the reverb effects, when playing a good acoustic piano there are all kinds of natural occurring organic sounds coming from within the acoustic grand piano cabinet when the the keys are being played and the notes are being heard. 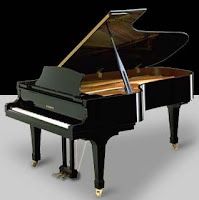 Some of these organic elements of piano sound are called damper resonance, key-off tone,hammer sound, lid position, damper/sustain decay time, half-pedal sustain positions, and the way a piano is tuned which normally is called stretch tuning and this kind of tuning can drastically affect the outcome of the piano sound the player/person will be hearing when playing the piano. 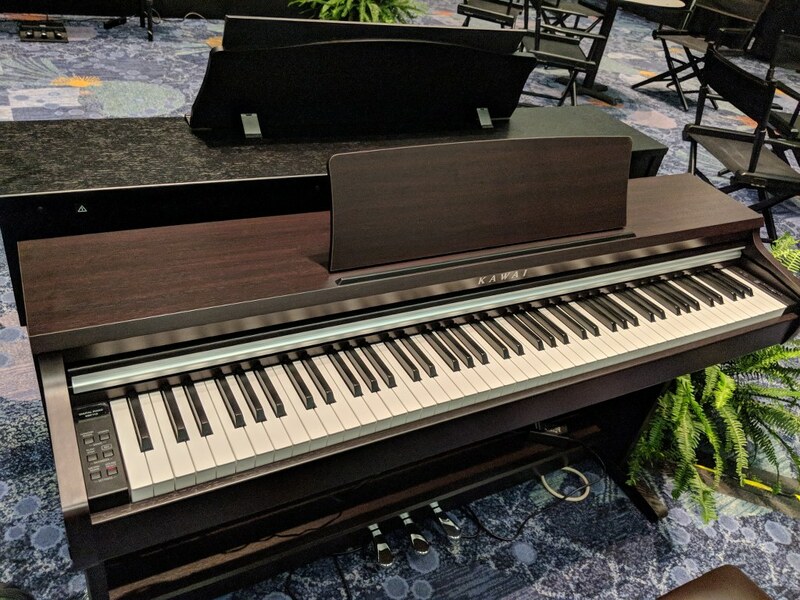 All of this nuanced organic elements of an acoustic grand piano are in the Kawai KDP110 and those individual features are adjustable in the KDP110 as well. In fact, Kawai also has an iOS/iPad app they call "virtual technician" which will allow you to easily see and adjust these natural organic piano elements to your liking by adding more strength to the effect or taking away some of the strength of that effect. Using the iPad for the touch interface to control these things (along with the key touch sensitivity and other features) makes using the "Virtual Technician" a breeze and then anyone can do it...even a 3 year old:). There are some internal features/functions which must be accessed from the piano itself and are not near as intuitive to use and may require opening the owners manual to figure it out. But for the most part what this all means is that Kawai is really focusing on the piano playing experience in this new KDP110 so that a person who mainly wants a very satisfying piano playing experience will definitely get one in my opinion. 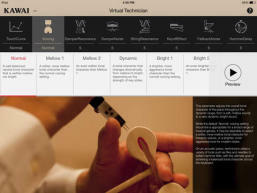 If you don't want to make any adjustments to the piano sounds using "Virtual Technician" then you don't have to at all. 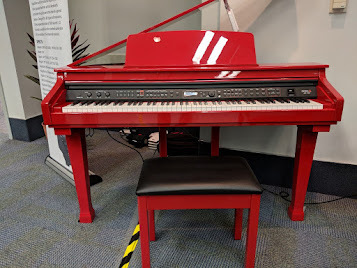 You can simply play the piano as it has been set up by Kawai at their factory with what most people will enjoy hearing, so the factory default settings are generally more than enough for most people. With regard to learning how to play a piano the KDP110 does have some useful features which helps the student learn to play better and also helps the recreational player (who can already play piano) to have a more interactive and fun playing experience. One of the features that can be useful is a digital recorder which can store 3 songs internally in the piano. It's a very simple recorder where you just press the record button, play your song, stop the recording, and then play back your song...simple. Some digital pianos have more extensive recording functions with separate tracks and separate sounds that can be recorded on each track. But the KDP110 just uses quick and simple technology to record both left & right hand simultaneously and then be able to instantly hear what you did. 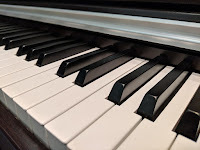 I am a long time piano instructor and pro musician and to be able to actually hear your performance or practice session is very helpful so that you can hear your mistakes and be able to correct them later. When you play back your recording you can also play "live" over it to accompany yourself if you wish which can be fun. Included with the recorder practice function is a full set of songs from the popular Alfred piano method series book level 1A and book level 1B along with songs from the Burgmuller, Czerny, and Beyer instructional books. These songs can help you understand what they should sound like when looking at the lesson books (optional) and you can slow down or speed up the playback of the songs while you are learning to play them. I believe that good ear training is helpful to the student and being able to play along really can help with musical development. To keep the student playing in the correct tempo there is a also an adjustable digital metronome on board to help with rhythm and timing which is a vital part of learning to play the piano and working on new music. Also, sometimes you may want two people to learn the same song and play at the same time, especially younger students. So you you have kids then if two of them who are learning to play the same things can actually play at the same time on the KDP110 by setting a function to electronically split the 88 keys in half having two 44-note keyboards and then you can have one person play on the left side of the piano on the first 44 keys and then the other student play on the right side using the other 44 keys. the right pedal controls sustain for the right side keys and the left pedal controls sustain for the left 44 keys. This is a pretty cool feature and works well for these kinds of practice situations and Kawai calls it a four-hands mode allowing two people to play simultaneously with both 44 keyboards playing in the same octave having the sound so that 2 people will hear can practice independently but at the same time. 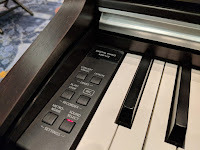 I need to mention that Kawai has an exclusive learning feature in the KDP110 that no other digital piano company offers that specifically targets rhythm and timing training in beginner kids and adults and is actually quite fun for any person to use. Kawai calls this feature "Concert Magic." 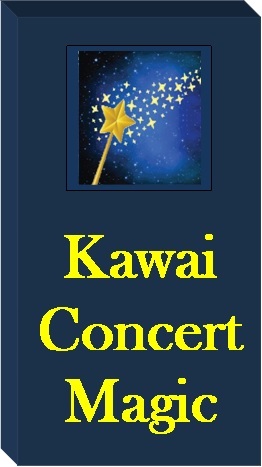 What Kawai has done is taken 40 popular well-known tunes over the years such as "Twinkle twinkle little star, Mary had a little lamb, O when the Saints, Row row row your boat, Yankee Doodle, Silent Night, Jingle Bells, The Entertainer, Fur Elise, Blue Danube, and many others and put those full piano songs into the memory of the KDP110. Many people of all ages (in the US) know these songs fairly well which also helps this system work well. When you activate the Concert Magic feature then you can play these songs yourself and have them come out (hopefully) perfect without knowing how to play piano:). Here's how it works: you select the song you want and then when you play ANY key on the piano it plays each part of the song perfectly, note by note including accompaniment chords, word by word all with one finger. In other words, you cannot make a mistake so you always sound good. Now some people might say, "how can this be helpful or why would I want it for me or my child?" Well...even though you can press any black or white key anywhere on the piano and it will play the next note (word) in the song perfectly regardless of the key you play, you will need to play that key with the correct timing or rhythm to achieve the proper movement of the song. That's the whole point...you are not trying to learn the correct notes/keys of the song on the keyboard with this system, but the student is trying to learn the correct timing of the song without also having to worry about playing the correct key. Kawai even has an "Easy beat" mode where all you need to do is tap out a constant steady beat with your finger on any key and the song will play perfectly without you having to already know the timing of the song. The motivation behind all this training is so you can sound good each and every time whether you already know that song or not. 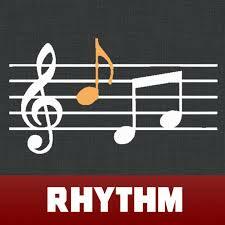 If you do know the song then as long as you play in the correct tempo on each key you play, the song will song great. Play it too slow or choppy than the song will not flow and sound good, so eventually when you play in the correct rhythm then the song will actually sound like the song. With 3 different training modes for the Concert Play system it will definitely produce big smiles for all members of the families, especially when a 2 or 3 year old starts playing using the Concert Magic system:). So when it comes to having fun and learning important music fundamentals at the same time, Kawai has really produced a great feature if you take advantage of it. As far as connectivity on this model goes, Kawai offers a lot including standard MIDI in/out connections, USB output to device connection (to computers, tablets, cell phones, etc), and new Bluetooth MIDI connectivity to connect with music and educational apps on your tablet using wireless Bluetooth. This is not Bluetooth audio but is Bluetooth MIDI so that when you press the keys on the piano while connected to a device like iPad or computer using educational apps and programs, then the Bluetooth app will recognize that input of your keyboard playing and respond to your playing with instant feedback depending on the app or program. I use iPad iOS apps in my studio to teach with and I find Bluetooth MIDI very practical to have in digital pianos although I would also like Bluetooth audio as well built into the piano which Kawai does not have in the KDP110, which is a disappointment for me...but I guess you cannot have everything. The KDP110 does not have any audio outputs but you can connect any external audio source to one of the stereo headphone jacks on the piano should you ever want or need an external speaker system connected to the piano. KDP110, plus all the additional impressive functions and features it has, at $300 less for the Kawai over the Yamaha there really is no contest anymore in my opinion. Prior to the KDP110 coming out the Kawai company's next model up is called the CN27 and that 40 watt digital piano costs $1899US internet discount price and its features are similar to the KDP110. 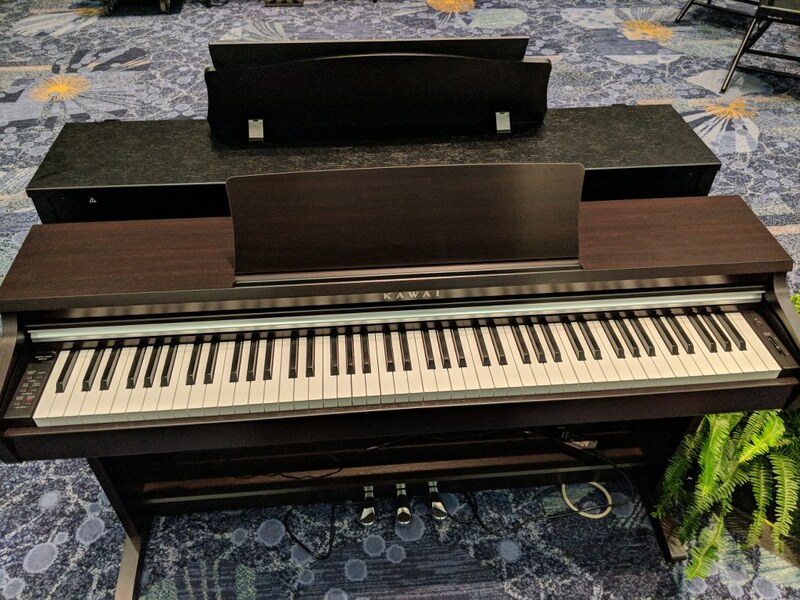 So you had to spend a lot of money to get a Kawai digital piano with a more powerful 40 watt speaker system and an impressive piano playing experience...but not any more. Even at the 40 watt peak power, the KDP110 is very energy efficient over past models in that it only uses 11 watts of power when playing at the same levels. Plus, Kawai has now has a new stereo headphone feature which optimizes any pair of good stereo headphones for high definition spatial positioning to give you the feeling that the piano sound is coming all around your head instead of directly into the ears like traditional digital pianos do. This new spatial headphone feature makes the headphone listening experience more enjoyable and more realistic and it's a nice feature to have although now absolutely necessary to use as it can be disabled for normal headphone use. Kawai even has some headphone modes which optimizes the sound for different kinds of headphones like open ear, semi-open ear, closed ear, inner ear (buds), etc. So that new technology can be useful if you will be using headphones a lot. 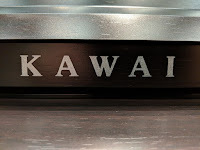 The bottom line is this...in my opinion Kawai has produced a better digital piano for $1199 internet discount price in offering an upgraded key action with noticeably smoother graded hammer piano key movement, expressive dynamic stereo piano tone, responsive pedaling, and digital features than they have had before. 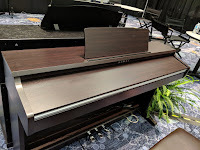 Yes, there are always some more or different features a person could want on their digital piano which the KDP110 does not have, but I think that the KDP110 has more than enough things to satisfy most piano students and players for a number of years. I do like the dark rosewood cabinet finish and it looks attractive with an all newly designed cabinet with chrome pedals instead of brass along with an included comfortable matching padded bench. I will say that I wish Kawai also offered this model for the US market in matte black color instead of just offering rosewood. 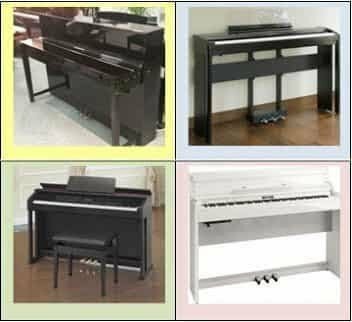 Even though the rosewood color is attractive and will look good in some home decors, many people prefer all black color and that is something which some of the other digital piano manufacturers do offer in this price range whereas Kawai does not. Even having a version in a all white color would be good to have as more people seem to like that option as well. Having a better variety of colors in the US would be a big plus in my opinion but if the interior of your home is rather dark or muted then the rosewood make work out for you, so it just depends. At the end of the day there are choices in this price range from all the good digital piano manufacturers including Kawai, Roland, Yamaha, Casio, and Korg who produce the better pianos. But with this new offering from Kawai I think they have certainly risen further up the ladder of quality pianos in a lower price range. Finally, the Kawai piano company has been producing pianos for so many years that they have developed a very good reputation for making quality instruments which will last for many years. The KDP110 carries a 3-year parts & labor factory warranty with in-home service for factory defects. With all the KDP110 has going for it, it could be the perfect piano for you, although I always recommend to do your homework to make sure you are getting a piano that meets your musical needs and budget. 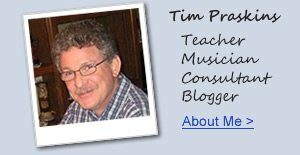 hello Tim, this is a great review! I'm looking for a piano for my daughter to begin this music adventure and have narrowed down the search to Kawai KDP110 and Roland F140R. Most of the sales people in piano shops recommend Roland over this Kawai, but I'm having impression Kawai sound is much more natural and more designated to classical music. Roland on other hand has more "fun factor" with accompaniament and variety of sounds. What you think would be better to begin a classical piano learning path? What's the difference between KDP110 and Kawai CN17? Is RHC II only differs in triple sensor than older RHC? Any other differences? Thanks. Hi Tim! Great review as usual. There are still some units of the older model, the KDP90, also a very good piano, that can be bought at a discount price. You know both models well. In your opinion, apart from the improved key action, what are the most important improvements of the kdp110 over the kdp90, and are they worth to pay the price difference? Thank you! What's better kawai kdp 110 or yamaha ydp 163? without question...the new Kawai KDP110. Much more expressive key action, piano sound, and pedaling than the Yamaha in my opinion. Can you also use midi files to play with your favourite song? When i can buy both. Which one would you recommend? The c1 air or the kawai kdp110. Hi Tim. I’m a total beginner and looking for a digital piano to learn on. I’m looking for something that I wont “grow out of” as I progress. Right now I’m only interested in learning to play classical (Beethoven, Bach, Chopin, Mozart, etc.). I’ve been trying to research mainly the actions as that’s what I think would be most important. I’ve been looking at the Kawai KDP-110, Roland RP-102, Casio AP-270, Casio PX-870, Yamaha YDP-143. I’d also be open to any other suggestions that I may not have listed. Any help would be greatly appreciated! Thanks!